White interior soft box designed for strobe lights. Great for full-length and group portraiture. Highly recommended for product and still life photography. Size is 17 x 21 inches. 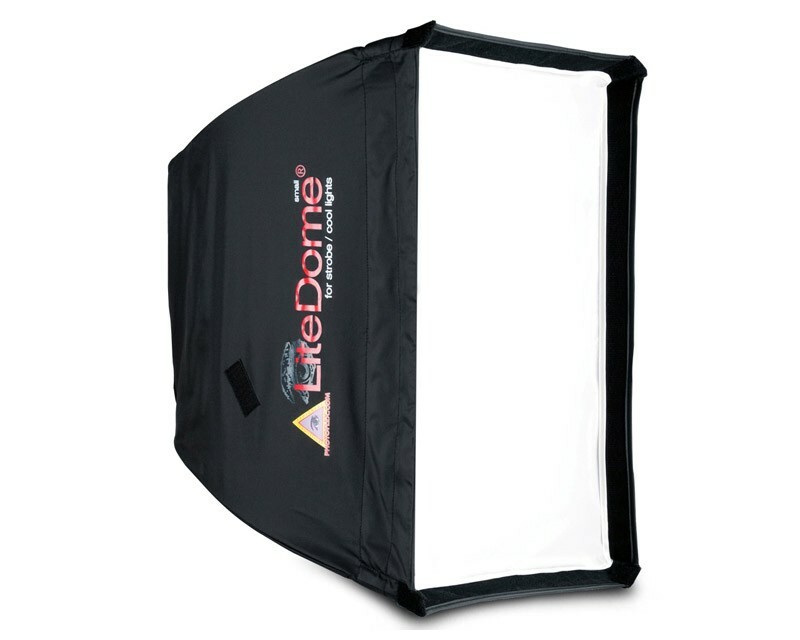 The LiteDome®: small consistently delivers even, natural light from your strobe unit. The face of the LiteDome: small is 43 x 53 x 33 cm. The internal diffusion baffle eliminates extreme highlights and hotspots. The internal baffle and diffusion face are each easily removed, allowing you to go from soft, diffused lighting to high-contrast without changing your setup. Loop hooks are sewn into the outside of the dome to allow for hanging the SoftBox from above using block and tackle. The LiteDome is available in 5 sizes. Connector is required to fit your strobe light. Speedring sold separately.